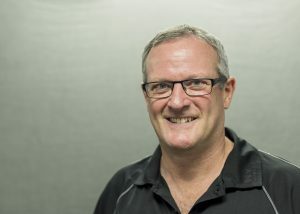 Dr. Douglas Boreham, PhD, is the Bruce Power Chair in Radiation and Health at the Northern Ontario School of Medicine. The Chair has been renewed for a second term (2016-2019), providing scientific oversight and direction for research associated with environmental and human impacts of the nuclear power industry. This partnership fosters better educational outreach in radiation and health and builds a strong university network of expertise to support the future scientific and health needs of Bruce Power, NOSM and Ontario. 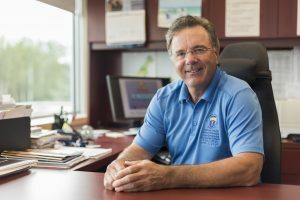 Dr. Boreham, originally from the Elliot Lake area, holds an undergraduate degree from Laurentian University and completed his PhD at the University of Ottawa. His research interests lie in the effects of low dose radiation on humans and the environment and he has published more than 70 scientific research manuscripts, won four major teaching awards and lectured about radiation around the world. Dr. Boreham was the 2012 Canadian representative for the United Nations Scientific Committee on the Effects of Atomic Radiation. Dr. Boreham also serves as the Head of the Division of Medical Sciences at NOSM and leads a team of researchers at the Medical School and beyond in this important area of study in Northern Ontario. Dr. Gregory Ross, PhD, holds the MAG Aerospace Chair in Environment and Health Surveillance at the Northern Ontario School of Medicine. The Industrial Research Chair in Health and Environment is sponsored by NOSM, the Northern Ontario Heritage Foundation and in collaboration with MAG Aerospace. In addition to salary support for the position, research funding from NOHFC, FedNor, NOSM and other sources has been secured with a total research budget for the project of approximately $3M. Dr. Ross’ research program is responsible for research on algae pollutants of the waterways of Northern Ontario. Specifically, Dr. Ross combines his expertise in human and biological sciences with experience in identification of unique characteristics of algae contamination utilizing advanced remote-sensing technologies. Working with the industrial partner, MAG Aerospace, Dr. Ross will develop a more rapid, accurate and economical means of identifying waterways contaminated with potentially harmful blue-green algae blooms in order to address a longstanding health problem in Northern Ontario.